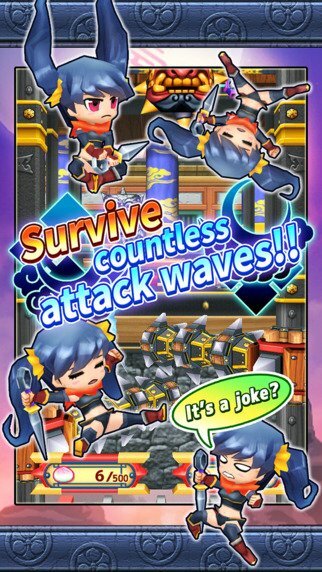 Ninja Tower is a game where you help a cute Ninja girl (there is a word for that! 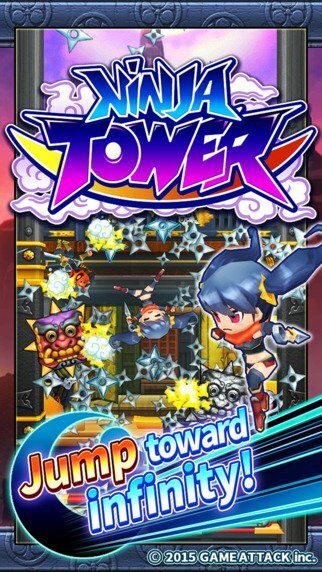 A Kunoichi) up a super high tech tower by “air jumping” your way past spiky boulders, sword wielding enemies, and a whole heap of other defensive weapons we are pretty sure must have come from the future! The controls in this game are simple and very easy to get used to. 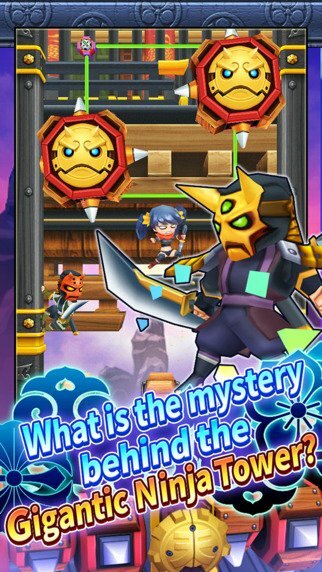 By tapping on the screen your Ninja girl will jump and by tilting your device she will either move left or right. Some other Ninja weapons you can collect along the way are Shield Shuriken that can block one enemy hit, and Shuriken Bombs, that when triggered will blow up everything around you. There are also Ninja Rockets that will automatically carry you far up the stage without you having to do anything; making it just a little easier to get a high score. 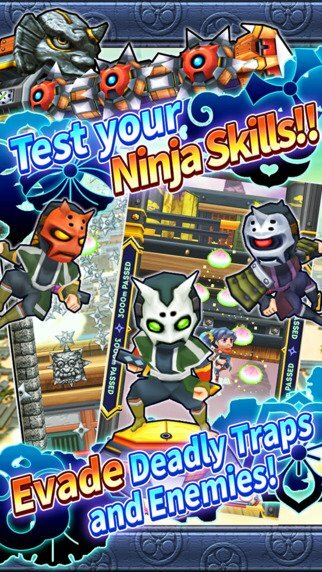 Whether set in the future or in the past, this is a game you can play on your iPhone right now, and for Ninja fans, we’re sure it won’t disappoint you.